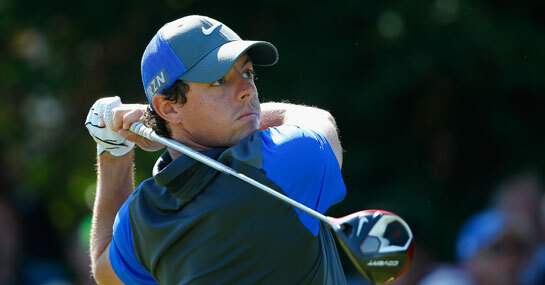 With a slight tilt of the head and a narrow squint of the eyes, spectators of The Open Championship’s first round could almost travel back to 2010 as they watched Rory McIlroy navigate Royal Liverpool. A blemish free 66 saw the Northern Irishman take a one-shot lead over Matteo Manassero after the end of the first day, a round that wasn’t far off the 63 that saw the two-time major winner blaze a trail on the opening day four years ago at St Andrews. While the odds on McIlroy winning a first major on British soil may have shrunk to 4/1, what happened in the second round in Scotland forms part of the evidence why neither that price, or the 9/4 on him leading the second round, should be backed. The commitaphobe’s affliction with tournament second rounds existed way before his recently developed fear of weddings, having registered a whopping eight-over 80 four years ago and has continued to destroy solid starts this season. So regular have the blowouts been that they now have their own moniker and there’s no reason why another “Freaky Friday” will rear its head in Liverpool. Of the 15 appearances McIlroy has made this year he’s shot bigger scores in the second round compared to the first 12 times. The latest second-day horror show came as recently as last week in the Scottish Open, where he followed an opening 64 with a 78 the next day. Amazingly, that wasn’t even his biggest meltdown of the year, with the 78 he carded in the second round of The Memorial handing back a massive 15 shots on the 63 he shot on day one. The rest of the field will know they are in with a chance of leapfrogging McIlroy on Friday, with Adam Scott – who is two shots back – perhaps the best looking second round leader punt at 6/1.